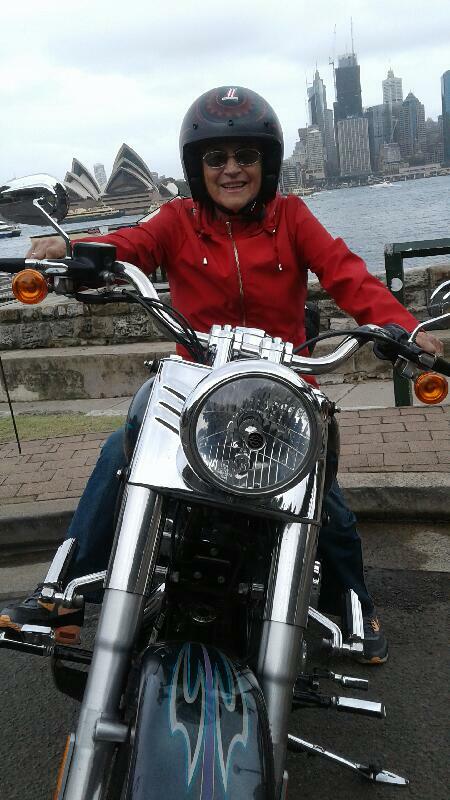 Our passengers decided to explore Sydney by trike and they loved the experience. Steve picked them up from their hotel and took them east. Firstly they rode through the city before riding through the lovely Centennial Park. The next destination was Bronte Beach on the south east. Then they drove past the small but pretty Tamarama Beach. Of course no exploration of Sydney is complete without riding past Bondi Beach where they stopped for a quick stretch. Then they rode out to The Gap which has lovely views to the rock formations of the coast and the ocean. They stopped for a couple of photos before heading through the eastern suburbs of Rose Bay, Double Bay. 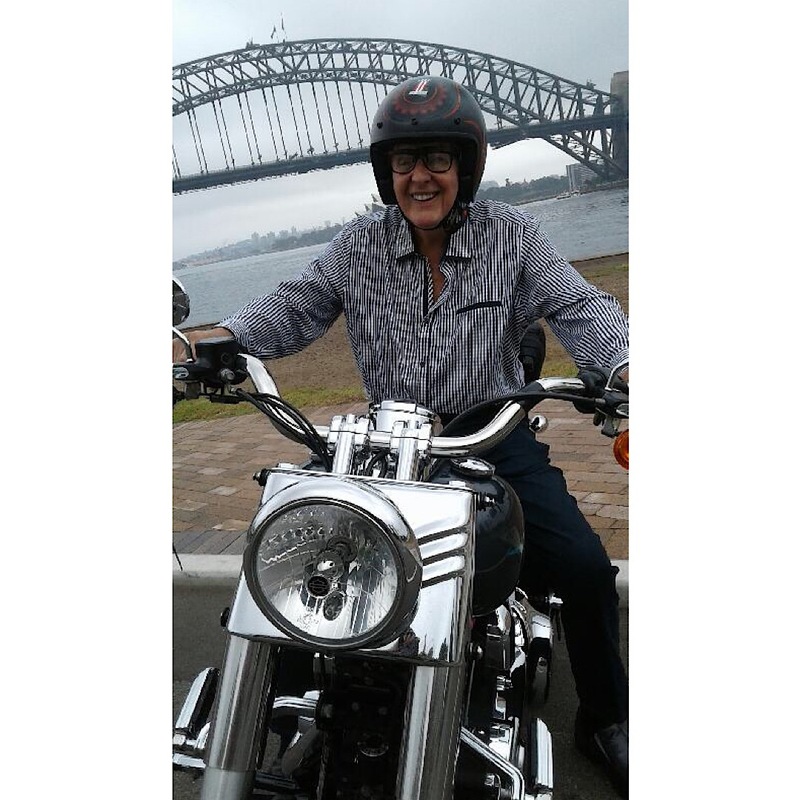 Then they rode through the infamous Kings Cross, past Finger Wharf in Woolloomooloo. The Royal Botanical Gardens are lovely to drive through with views of the harbour, the Harbour Bridge and the Sydney Opera House. Riding through part of the gardens meant they rode past Mrs Macquarie’s Chair. They continued on through the city to drop off at their hotel. 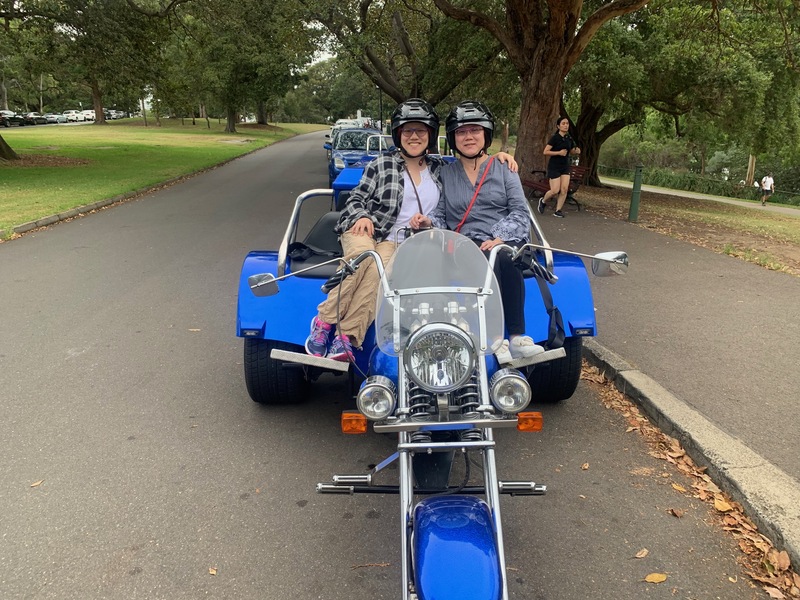 The explore Sydney by trike tour was an absolutely fun and memorable experience. They loved it and saw so much along the way. The Gap is an ocean cliff on the South Head peninsula in eastern Sydney. The area, which faces the Tasman Sea, is located in the eastern suburb of Watsons Bay, in the Municipality of Woollahra, near South Head. Although the cliff is a popular visitor destination, it has an infamy for suicides. The Gap is a well known place for suicides in Australia. The tall cliffs have made it a location for those wishing to end their lives. Many measures have been implemented to dissuade those at risk of suicide, these include security cameras to monitor the area, several purpose-built Lifeline counselling phone booths, and information boards from the Black Dog Institute and Beyondblue. An inward-leaning fence has also been erected to deter people from jumping.